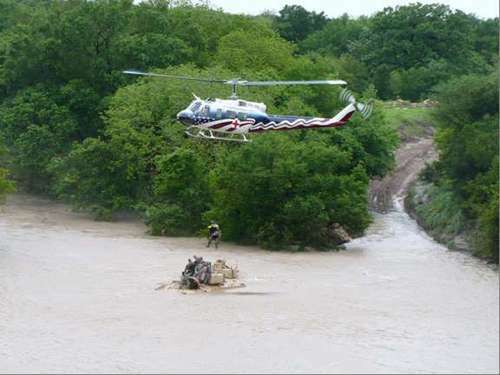 SRT provides Helicopter Hoist Rescue Training, which includes aircraft emergencies during hoist operations. Every course is custom tailored to the specific needs of the customer to ensure the training is as relevant as possible. These unique courses are the best in the industry and provide special, specific training to your requirements. They provide the safest possible foundation for your future hoist rescue operations. SRT Specializes in disaster preparedness and response, dedicated medevac, hoist rescue training, technical rescue, water rescue and tactical operations. We have become a leader in providing “Total Turn Key” solutions. Our training staff is comprised of working professionals who respond to real world missions everyday and are industry leaders in their respective fields. From our Technical and Hoist Rescue Instructors to our Incident Command staff, our personnel are known the world over for their professionalism, expertise, and “Passion for the Job”.